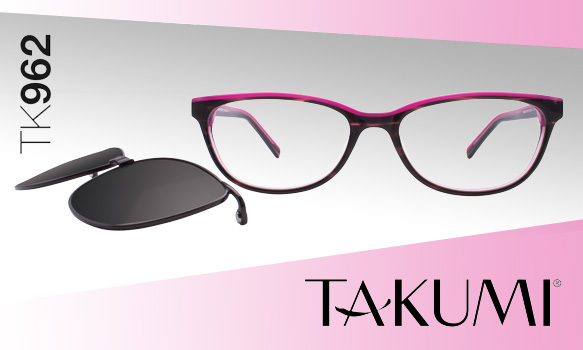 Fashion-forward design and convenience collide when it comes to TAKUMI’s latest summer style for the ladies! Featuring a demure cat-eye silhouette and an alluring marbled finish, with an unexpected neon pink browline, these specs offer up sophisticatedly cool style. Plus, they boast magnetic clip-on polarized lenses, so gals everywhere can transition from indoors to outdoors, or vice versa, with these frames in tow in an instant! How awesome is that? Get even more deets on these trendy-meets-versatile glasses here.